The newest Clint Eastwood directed movie features Eastwood as the lead character, and there are some strangely uncomfortable moments in a 2018 movie. 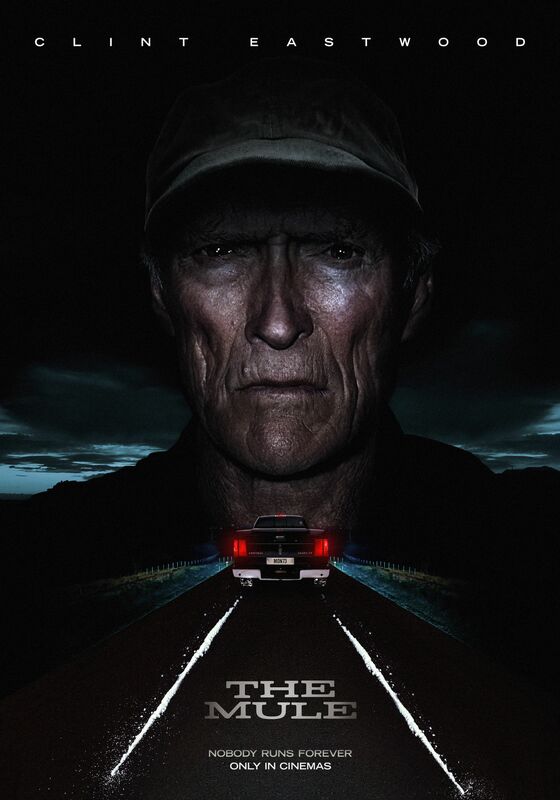 First off, the trailers made this look like something more violent in tone and more like Eastwood’s character is trapped in a life that he did not want to do and was uncertain how he was getting out of it. However, that was not the tone of this movie. This movie was more comedic than it was violent. It was more weirdly uncomfortable than it was vicious. Eastwood played a character who was an old man with old world values who did not know when he should not say something or know when he was saying something inappropriate…or racist. Earl Stone (Eastwood) was a 90-year-old horticulturist is having money problems and is shown as a deadbeat father and husband. He takes a job “driving” for some people, who turn out to be a Mexican Drug Cartel, and he is driving drugs. However, Earl does the job very well and the cartel wants to increase his load. Meanwhile, DEA agents Bates (Bradley Cooper) and Michael Pena (who has no name in the film) are trying to operate a sting inside the cartel which puts them on the trail of earl as the mule. Earl’s family is having severe problems as well and he finds himself split with his attempts to be there for his family now, making up for the years he missed. The film is very odd. As I said, Eastwood’s Earl is extremely likable, but he says things that show him to be somewhat racist, or, at the very least, not empathetic toward people of different races. He comes off more as an old guy who doesn’t know any better rather than a racist, though. He also did not seem to be bothered much about driving these drugs around for this cartel. He liked the money they were paying him for sure. The film did a great job keeping Earl likable despite his outright criminal behavior. Sure he needed the money to help his family, but that really did not excuse his activities. There were several storylines that began but were dropped. There was a relationship begun between Earl and his “handler” Julio (Ignacio Serricchio), but nothing came from it. Serricchio was a former General Hospital star and was seen recently in Netflix’s Lost in Space reboot. He was good here, but I was looking forward to a pay off of that relationship, but it never came. There were plenty of things that happened in the plot that did not make a whole heck of a lot of sense either. It was a strange movie because I found myself unsure of how I felt about the characters involved and Earl just was shuffling his way through this movie and he never felt as if he fit in with the narrative being told. It was in opposition to the trailers that they showed and made me kind of uncomfortable. That is not a bad thing. The film was okay. It is not up to par with some of Eastwood’s best films, but it was better than many, especially some of the recent one. Eastwood fans should enjoy this movie.